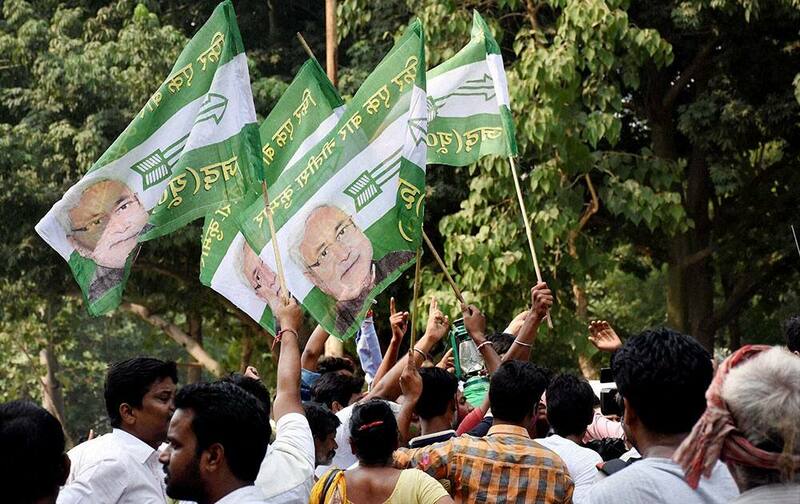 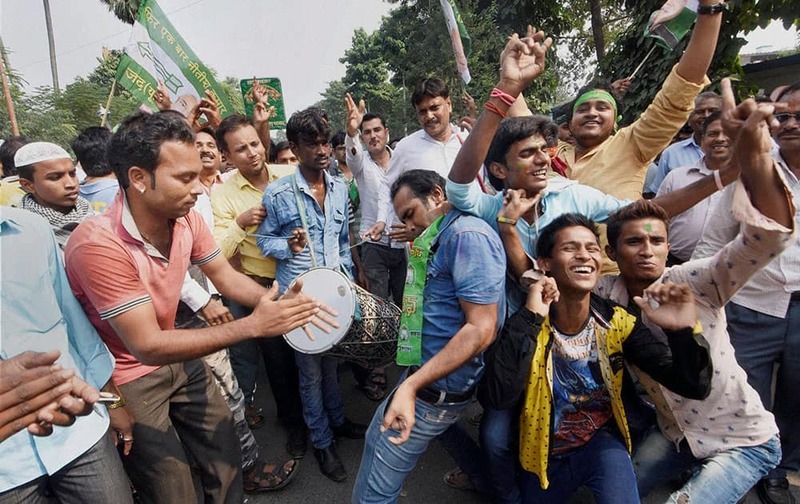 JD(U) supporters celebrate the Mahagathbandhans victory in Bihar assembly elections in Patna. 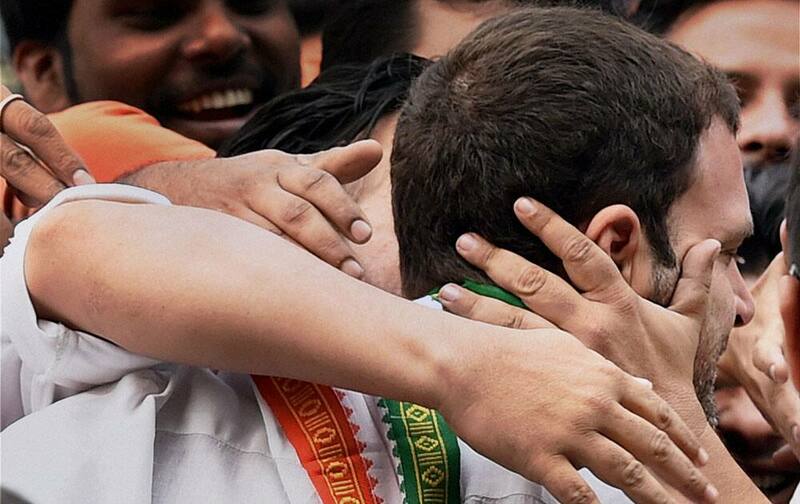 Congress Vice President Rahul Gandhi with party workers during celebration of Grand Alliances victory in the Bihar Assembly elections, at party headquarters in New Delhi. 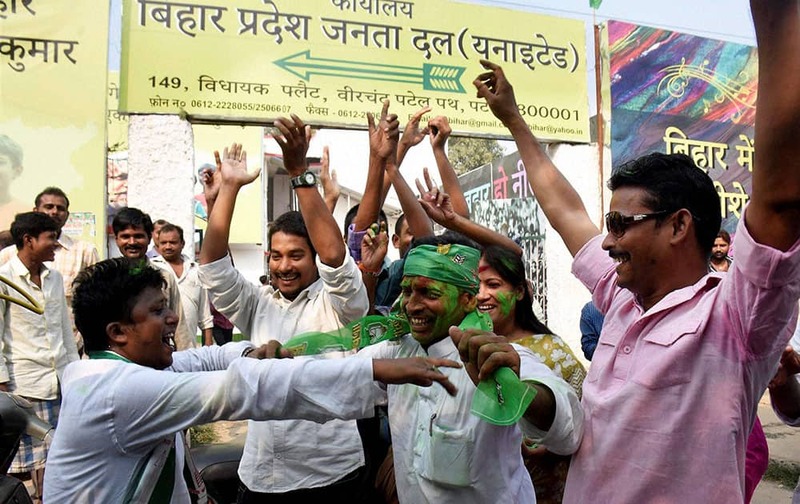 (U) supporters celebrate the Mahagathbandhans victory in Bihar assembly elections in Patna. 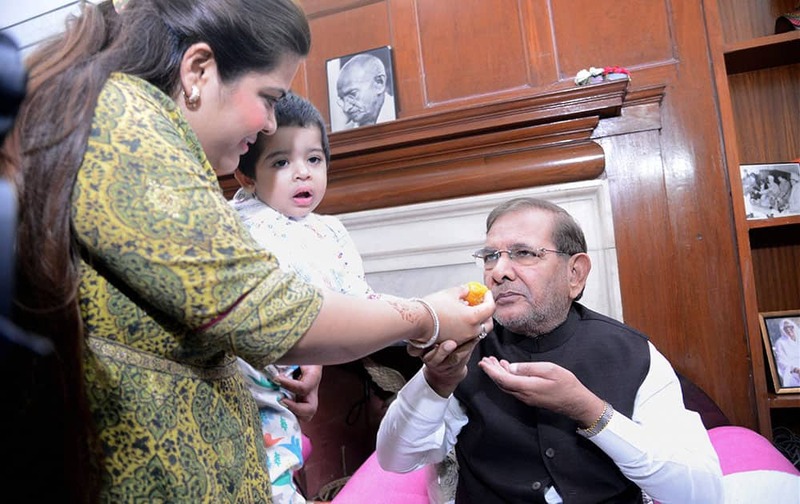 JD(U) President Sharad Yadav is offered sweets by his daughter after the Mahagathbandhans victory in Bihar assembly elections. 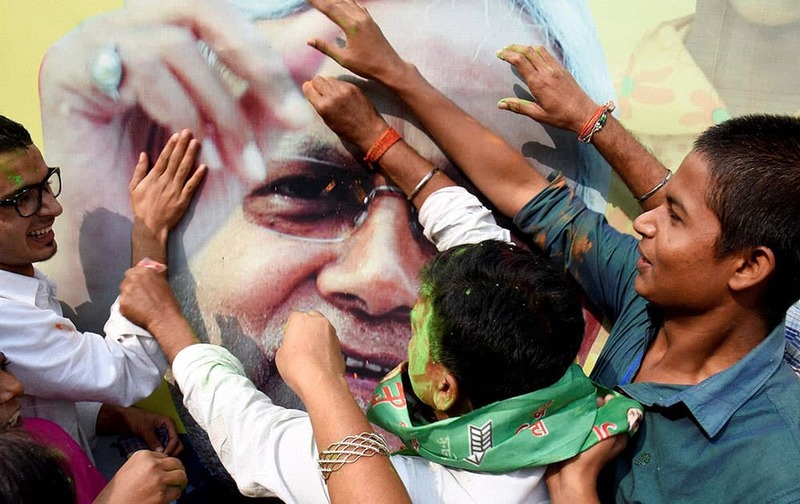 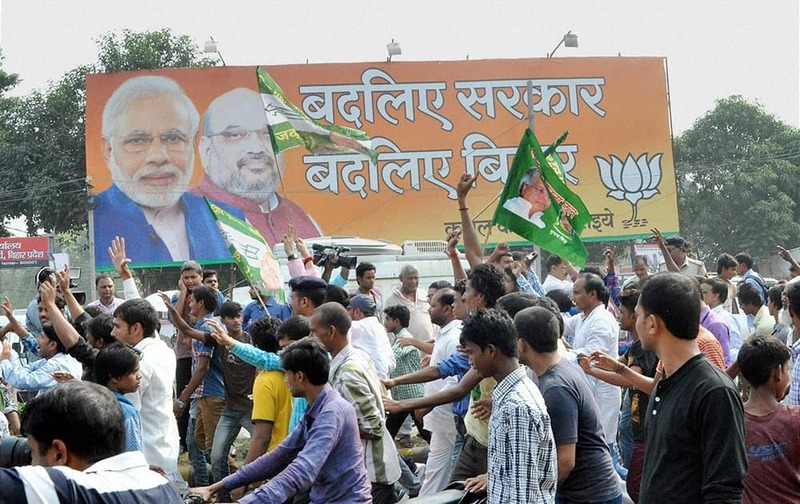 JD(U) supporters walk past a hoarding of BJP as they celebrate the Mahagathbandhans victory in Bihar assembly elections in Patna. 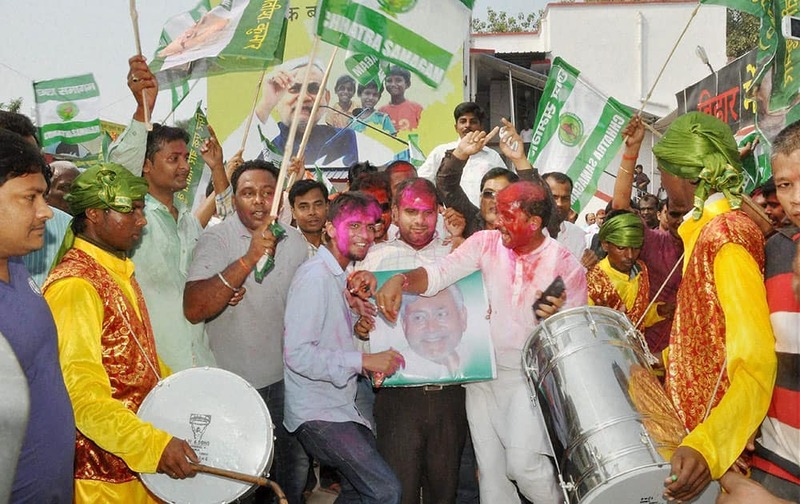 Supporters celebrate the Mahagathbandhans (Grand Alliance) victory in Bihar assembly elections in Patna. 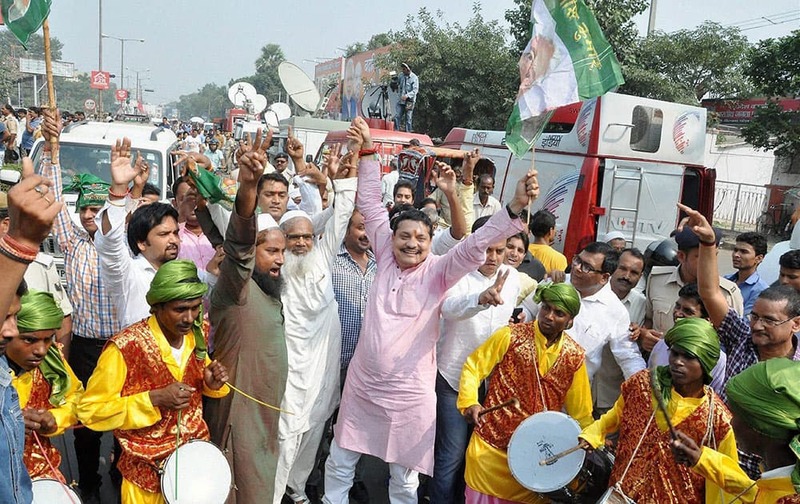 Supporters dance as they celebrate the Mahagathbandhans (Grand Alliance) victory in Bihar assembly elections in Patna.